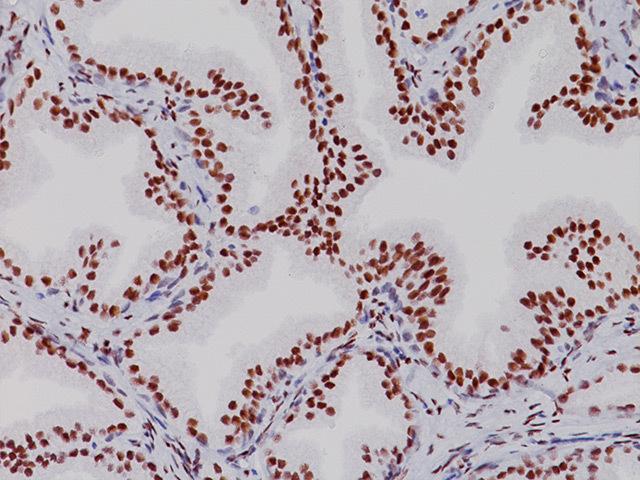 Phospho-Histone H3 antibody (pHH3) is an immunomarker specific for cells undergoing mitosis. 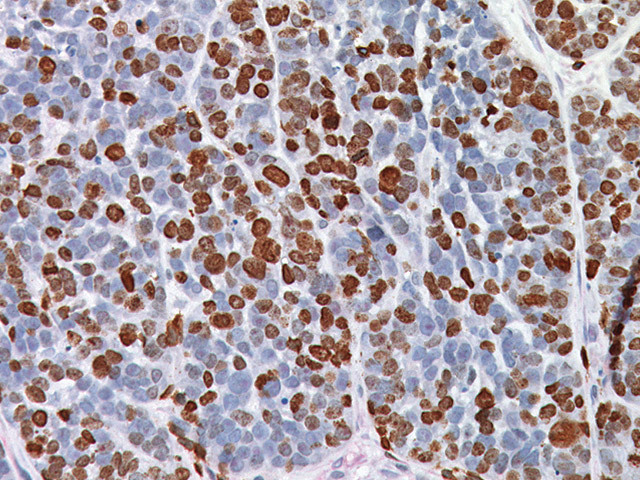 The phosphorylation of histone H3 plays an important role in gene expression, chromatin remodeling, chromosome condensation and cell division. 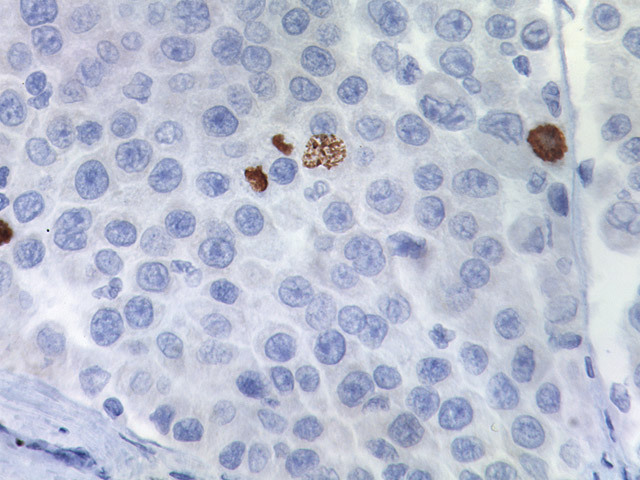 Across different organisms, metaphase chromosomes are always found to be heavily histone H3 phosphorylated. 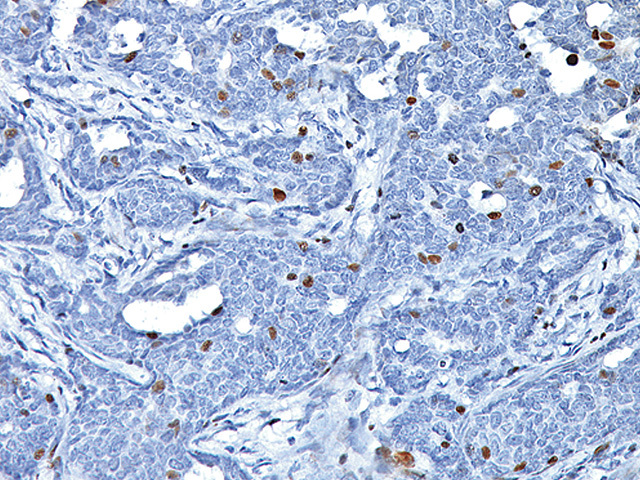 Determination of the mitotic index using pHH3 has been reported to be of prognostic significance in breast cancer, melanoma and meningiomas. 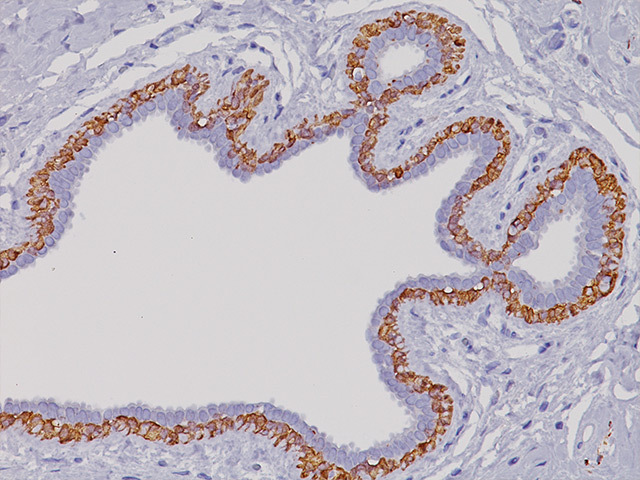 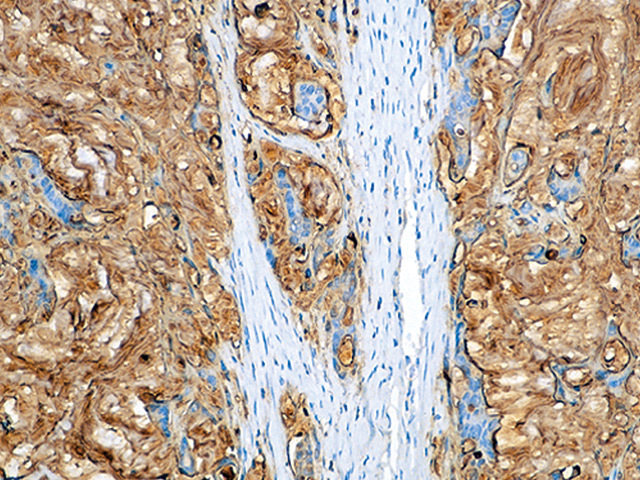 pHH3 immunostaining may also provide an accurate proliferation potential which can be relevant to tumor grading.